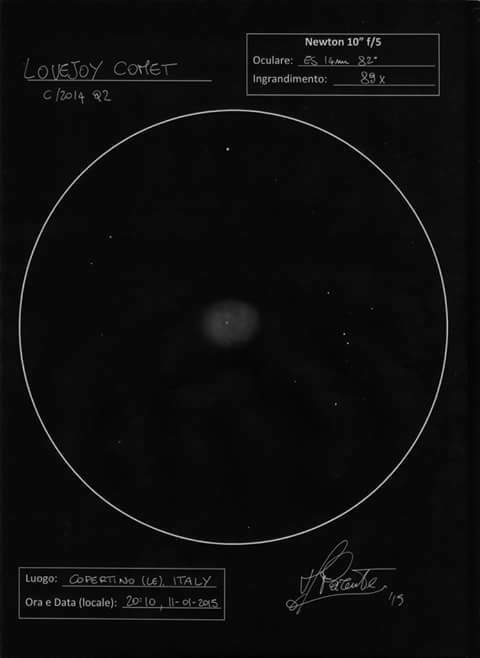 Very nice sketch of Comet C/2014 Q2 Lovejoy. It has been a real treat to observe and glad you got to see it. Nice capture of comet Lovejoy. It really is a fine sketch of a great looking ,bright comet.